The new RM ePad gives you the freedom to teach and engage your students from anywhere in the classroom. 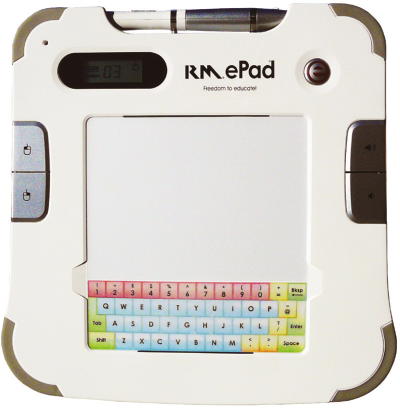 The RM ePad comes bundled with RM Easiteach so you can create and deliver engaging lessons with all the interactivity of a whiteboard from the palm of your hand. The RM ePad works with PowerPoint®, your Internet browser, and all other classroom software comes with Easiteach Next Generation included in the price. This means you can use all the functions of an interactive Whiteboard without purchasing one. Whiteboard device by RM Inc.